Sam seemed to have everything a teenage girl could want: popularity, a hot boyfriend, cool status, fun friends, loving family and seeming happiness. But beyond the superficial, Sam’s life wasn’t so charmed. She was one of a clique of high school mean girls who made life hellish for those different from them. When she’s killed in a car accident, Sam is forced to relive her last day on Earth seven times in order to get things right. She attempts to make sense of what befell her and gain a better understanding of herself and others. In the process, Sam evolves, learns to be a good person and comes to accept her fate. The film stars Zoey Deutch, Halston Sage, Logan Miller, Kian Lawley, Jennifer Beals, Diego Boneta, and Elena Kampouris. 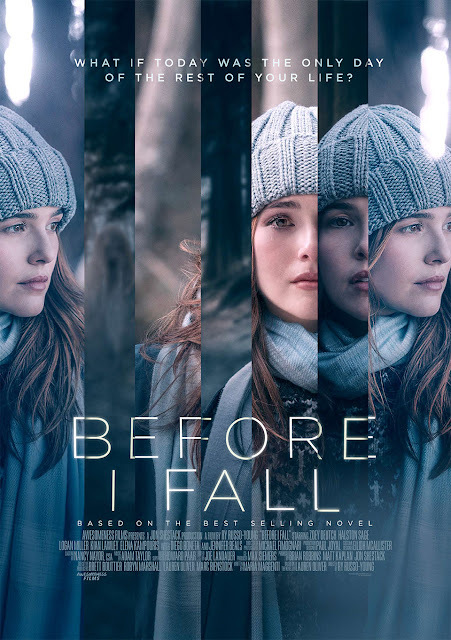 “Before I Fall” opens March 8 in cinemas nationwide, distributed by Pioneer Films.